The China-based electronics giant, Xiaomi, has just finally unveiled the much rumored and leaked Mi 5X smartphone today sporting a dual camera system on the back which was previously offered with the Mi 6 phone. The Mi 5x in encased in an all-metal unibody case with anti-fingerprint coating according to Xiaomi during the announcement. It has a pretty sleek design reminiscent of the latest iPhone devices and of OPPO R11 series - thanks to its rounded edges, antenna placing, and how the two cameras on the back are positioned. Speaking of dual cameras, the Xiaomi Mi 5x has two 12MP shooters on the ear equipped with f/2.2 and f/2.6 aperture lenses. These features Portrait Mode for bokeh effect similar to iPhone 7 Plus and OnePlus 5. 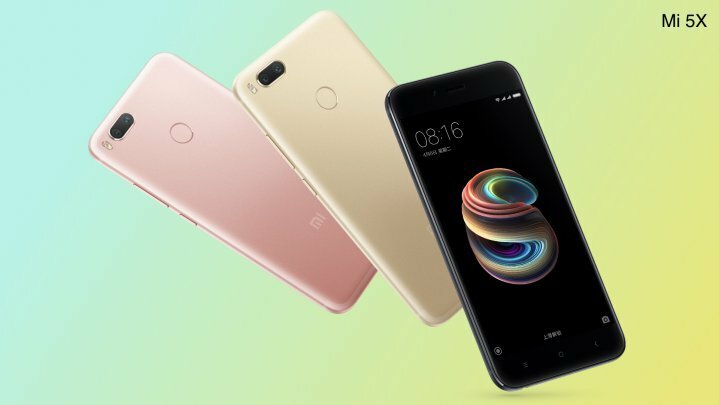 This latest Xiaomi Mi 5x sports a 5.5-inch display with 1080p resolution which should be good for consuming digital content. Powering the device is an octa-core Snapdragon 625 chip from Qualcomm partnered with 4GB RAM. As for the storage, there will be a default 64GB which is also expandable via microSD card up to 128GB. See more specs below. The Xiaomi Mi 5x will be released in China starting on August 1 with pricing of CNY 1,499.